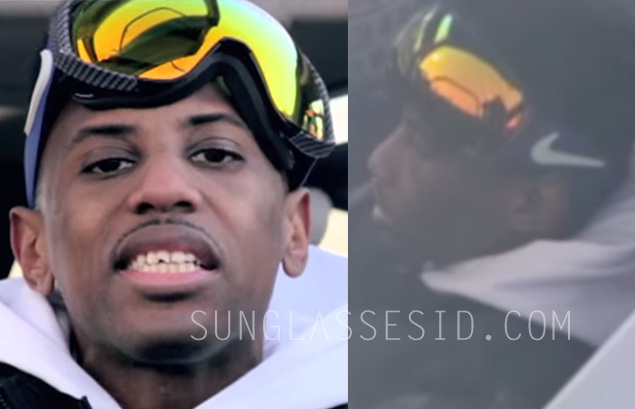 Rapper Fabulous wears blue Nike Khyber Goggles in the music video You Made Me. Rapper Fabulous wears blue Nike Khyber Goggles in the music video You Made Me (ft. Tysh Hyman). He wears the version with blue band, grey/black frame. These goggles come with two different lenses and he is using the Yellow Red Ion lens. The music video is inspired by the Back To The Future movies, and Fabulous is sitting in DeLorean car wearing the famous Nike sneakers from Back To The Future II.